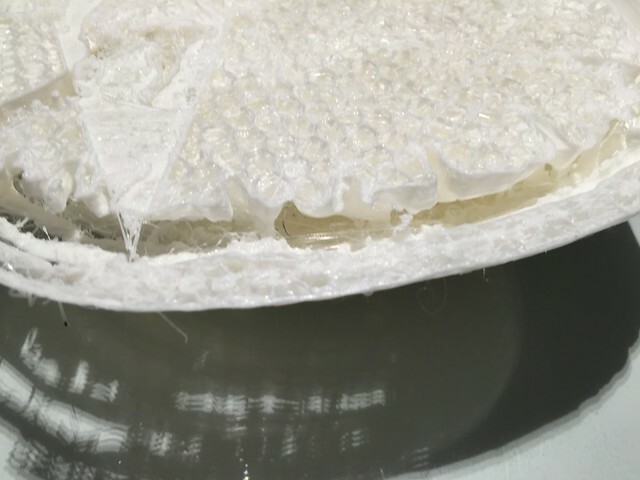 As a proof of concept, we started playing around with going from an MRI to a 3D print. It turns out the process is pretty straight forward once you cobble together the right collection of software tools. For an ambitious first print, we used an MRI of my ocular orbits where one of the sequences continued a nearly complete image of my entire head. 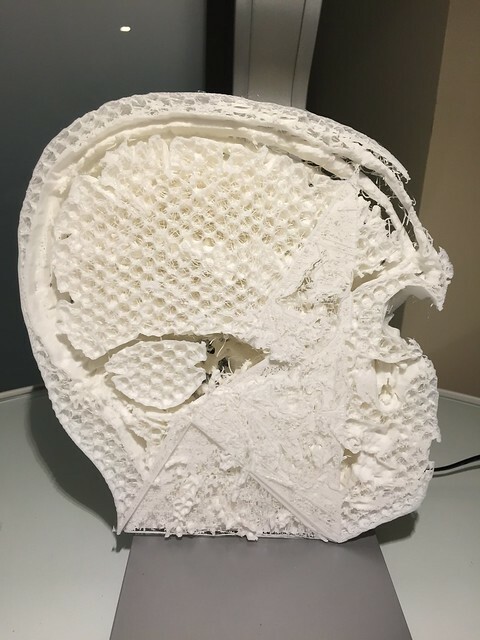 It took the printer 72 hours to render a slice of my head from my left hear to about a third of the way through my skull. Here's the coolest part. I can touch my own brain. See those little wrinkles and those raises and gullies? Those are mine. That's my brain. Sitting in my skull. I can run the tip of my finger over the profile of my actual brain, as it sits between my skull and it's protective layers. The pictures don't do justice to the feeling you get when you start running your fingers over the surface of your own brain. It's stunning! My grandmother, Grace, passed away nearly a year ago. She was a maker and hacker, although she wouldn't have used those terms, her whole life. Everything was a prototype. If something didn't quite work right, she'd go to her tractor shed or basement and find some parts and improve it. Her meat grinder had a suction cup stand she robbed from another appliance. She was always gluing, duct-taping or screwing one object to another. When her dexterity became limited, she started modifying household items. 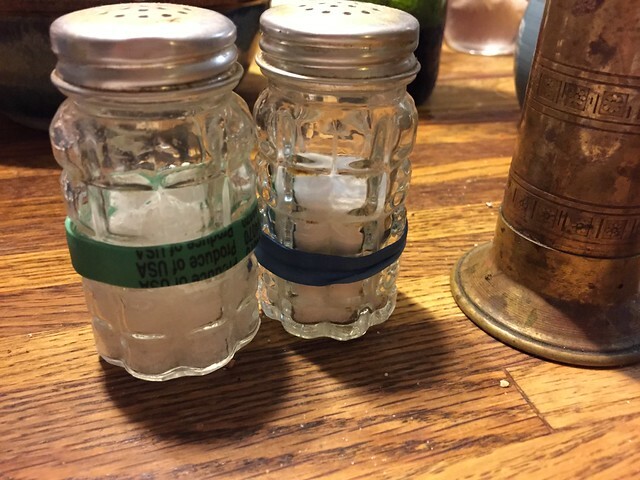 She wrapped these salt shakers with rubber bands to improve their grip. They are still on the farm's kitchen table. I think of them as a monument to her ingenuity - how she saw the world and objects.